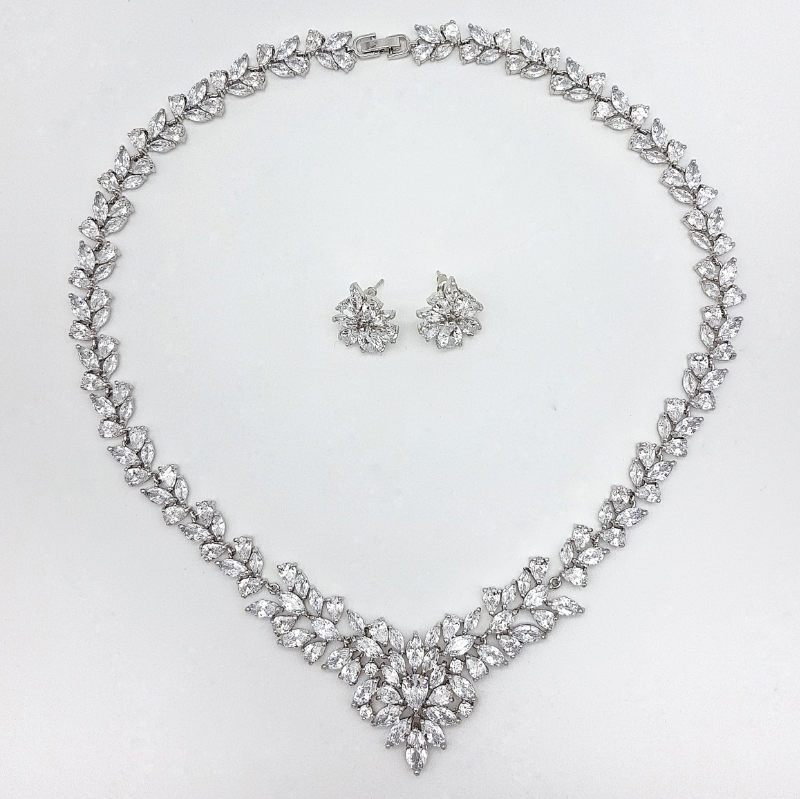 Earrings – 1.9cm tall x 1.7cm wide. 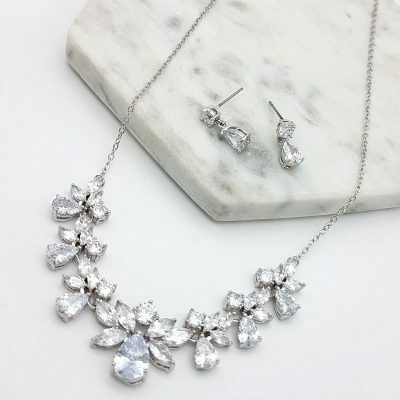 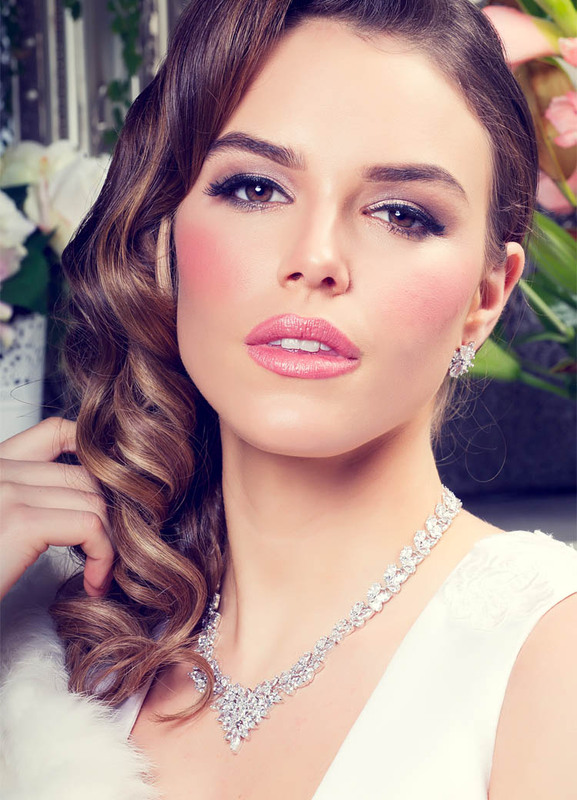 This incredibly beautiful necklace set is guaranteed to please. 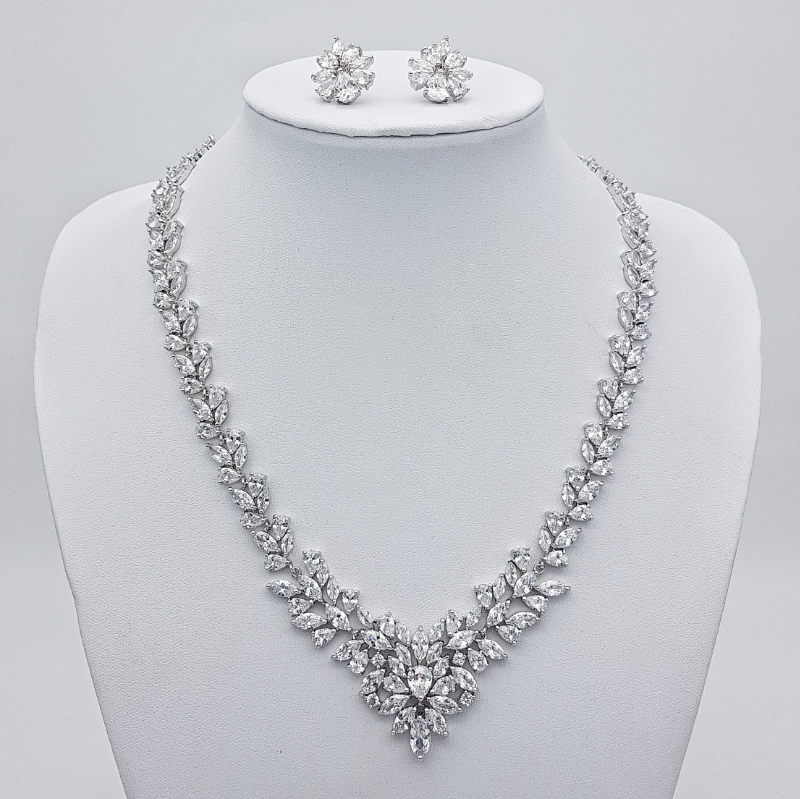 Featuring a gorgeous necklace with intricate detailing and matching studs. 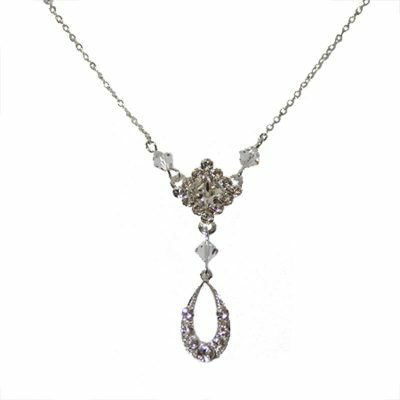 Made from high quality cubic zirconia on a rhodium silver setting.